Happy harvest time! I hope your gardens have been producing lots of yummy fruit and vegetables. I spent an entire weekend up to my ears in zucchini. I made zucchini bread, zucchini pie, and had zucchini stir fry. What I couldn’t use I grated up and put it in the freezer for more of the same during the winter. I love this time of year. It’s so nice to be able to put our hard work on the dinner table to enjoy. Last month’s general meeting was fabulous! We awarded our 2014 Trillium Awards and many of the recipients who weren’t members attended. The food was delicious and Marilyn Stavinga made our beautiful Trillium cake. You are so talented, Marilyn. Our guest speaker was Leanne Dykun. She demonstrated how to arrange flowers and vegetables for fall centre pieces and decorations. She did such a beautiful job and made it look so easy. She brought along some that she made previously and along with the one she made while demonstrating she donated them as door prizes. Congratulations to the winners: Deb & Don Zynormiski, Bruce Nevils, Lorraine Stevens, Ken Sherwood and Marie Bak. At the next general meeting on September 18th we will have our Flower & Vegetable show. Class lists were handed out at the last meeting and we’re hoping that we’ll have lots of entries. Don’t be shy…it’s free to enter and there will be money prizes for each class. Please come to the Optimist Hall by 6:30 p.m. for entry and set-up. This show is informal, so there will be no “official” judges, just some of our more experience members and master gardeners. This should be fun and will be an annual event at our September meetings. Our guest speaker for the evening will be Ron Duxbury. His topics will be unique bird-houses and bird-feeders, and dahlias. His bird houses are always on display at the annual Home & Garden show at the arena and they are so unique. It will be a fun evening for sure! Our flowerbeds around town look gorgeous. The potato vines have been a big hit this year and we’ll probably look into using more of them next year. Unfortunately, we have been getting some bad publicity regarding the flowerbeds that are at the base of the trees on Queen Street. Most people don’t know this, but we are not at all responsible for those beds. The Dunnville BIA is in charge of them, and it appears that they are having problems with keeping them maintained. Hopefully a solution can be found for 2015. Thank you to everyone who is helping us out this season with weeding and maintaining our flowerbeds—your hard work and dedication is paying off. I’d like to send out a special thank you to Steve Elgersma who has spent many, many hours weeding this summer. I don’t know that I’d recognize him standing up straight anymore! Just to put a bug in your ear, we are looking for new directors for 2015. If you think you’d like to help out please speak up and since we swear in our officers in November we would like to know by October’s general meeting. We meet once a month for an executive meeting, and once a month for our general meetings. It’s great to have new people and new ideas are always welcome. October is flowerbed clean-up time! Our clean-up day is October 18th. We’ll be meeting at the condo parking lot like usual at 9:00 a.m.
Our speaker for the October general meeting will be Lene Rasmussen of Lakeshore Willows who will be talking about growing cultured willows for basketry and living fences. We’ll also have our annual seed exchange, too. Bring your seeds and please make sure that they are labelled with basic growing directions (sun, shade, etc.). This was our Flower and Vegetable Show. A copy of the categories is attached. All entrees were set up prior to the meeting. Thanks to Pauline Bradford for organizing the show. Meeting was called to order by Debbie Thomas at 7:05 p.m. There were 63 people in attendance. Everyone was welcomed and Debbie asked the Flower and Show judges to start their judging during the business part of the meeting. The judges were Lorraine Stevens, Joan King, Beth Powell, Judy Jeffery, Barb Whyte and Pauline Bradford. Thanks ladies! Judy Jeffery brought in some rose bushes which were for sale at the front of the hall. Kim presented the minutes from the August meeting. Hellen Edyl moved to have accepted into record and Gwen VanNatter seconded the motion. Motion was carried. Kim presented the treasurer’s report for August. A copy is attached. We have 129 members. Debbie updated everyone on the condition of the Queen Street beds. There have been some complaints as to their condition. They are not our responsibility since the Chamber is paying Community Living to look after them. 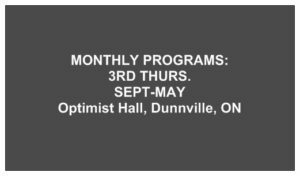 The Dunnville Business and Improvement Assoc. has decided to remove all flower bulbs/plants from beds under the 8 Queen St. beds, and just have red stone under all trees-they feel this would make it easier for Community Living to keep them weeded and to keep garbage and feces cleaned up. The bed in front of Queens/Merritt Room will stay a flower bed, being a prime location with good sun and the Hort. society will care for it in future. The New Year is fast approaching and with this comes our need for a new executive. Most have agreed to stay on but new people are always encouraged. New ideas and a fresh approach to our undertakings are always welcome. Elections and swearing in of the new board will take place at our Annual General Meeting in November. We received two grants from Haldimand County; a beautification grant in the amount of $3900 (for the beds) and another for $650 (for our two planters and a decorative rock at the high school bed). The grant committee is meeting soon to fill out applications for 2015. Projects being considered are repairing the downtown clock and repairing / restoring / relocating the old fountain base at Muddy Park. Flowerbed cleanup will be held on Saturday October 18. Meet at the condo parking lot for 9 a.m.
November’s meeting is our Annual General Meeting and Potluck dinner. It will be a Christmas theme as we don’t hold a meeting in December. There will be a photo contest and a penny sale instead of ways and means. All items will have a value of at least $20. An antispam legislation has been passed. We have 3 years to implement the plan. 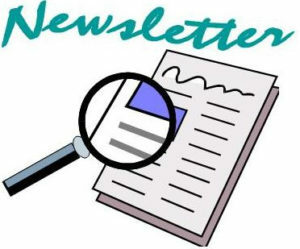 All email recipients will be notified and new members will need to sign a sheet giving us permission to send them emails. During the 15 minute break, members were encouraged to view the entrees in the Flower and Vegetable Show as well as enjoy some refreshments. Thank you to Barb Whyte, Pauline Bradford, Doreen Love and Maura Cooper for the wonderful treats. Our speaker, Ron Duxbury gave a wonderful discussion on dahlias. He has won many awards for his prize dahlias. The slide show highlighted the many different sizes, colours and varieties of dahlias. Ron brought in two arrangements of cut dahlias that were given out through a random draw. Winners were Dorothy Minor and Petra Kruis-Daly. Congratulations! Our flower show winners were announced. Congratulations to the winners and thanks to everyone that participated. It was a great event and will surely be held again. Ways and Means draw was held by Gwen VanNatter and raised $63.